The Glitter Fashionista: What's on my phone? A popular # on social media, so though i would join in and share what's on my phone and the apps i use everyday. 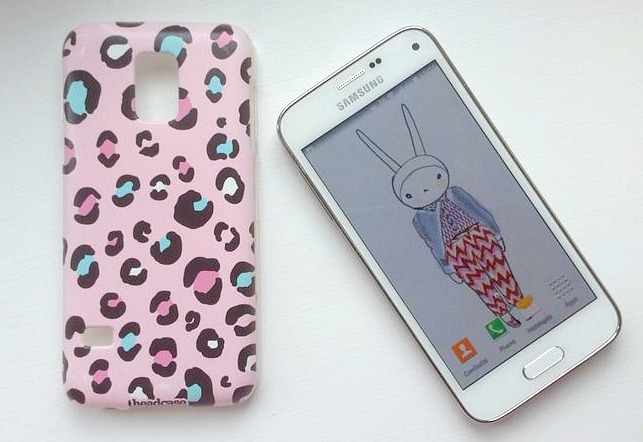 First up the phone - a Samsung Galaxy S 5 Mini in white, with a pink & turquoise leopard print cover from Ebay (my one bugbear with technology, not many cute cases available for any phone other than iPhone without hours of trawling Ebay) and a cute wallpaper featuring Fifi Lapin, from Pinterest. The first photo editor app i ever used - allows you to crop, collage, add borders and words. Perfect tool for enhancing your photos before sharing however limited to basic editing. The newest app on both my phone and iPad - the best photo editor i have used, with a wide range of frames allowing you to feature multiple photos in one image as well as the basic tools to enhance the image. I really like the variety that this app offers, from basic shapes to intricate collages and the ability to layer images. This app has helped me elevate my photography and give me the opportunity to create some gorgeous imagery. It may seem boring but I like to keep to an eye on my phone bill and my data limits as i hate unexpected cost especially when i am abroad and sending lots of messages. This app allows me to do all of that at the touch of a button - if your on O2 and don't have it yet, get it! As with the O2 app, i like to be able to quickly check up on my bank balance without the rigmarole of logging into the full site. Great snapshot of the last few transactions and my current balance, would recommend to any HSBC banker. Last but not least, not so much about organisation but just as important the ASOS app means i can browse and shop on the go - great if i need to find a last minute outfit or accessory but a little dangerous as i can get carried away and spend lots of money. *All apps mentioned available in both Google Play store and iTunes. Are there any Apps on your phone you couldn't live without? I love to see what other people have on their phones, I always discover new apps. Moldiv seems to be amazing so I'll definitely try it!